Seiffen is just a small village in the Ore Mountains, directly at the border with the Czech Republic. 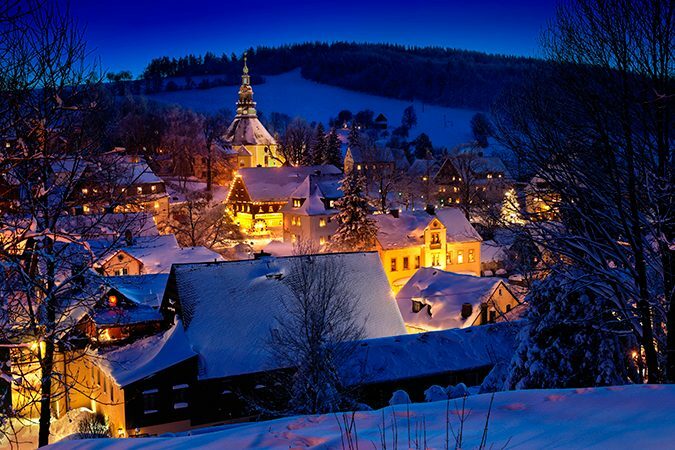 But it is the birthplace of the nutcracker and the smoking man, without which, together with other products developed in the Ore Mountains region, a German Christmas would be inconceivable. 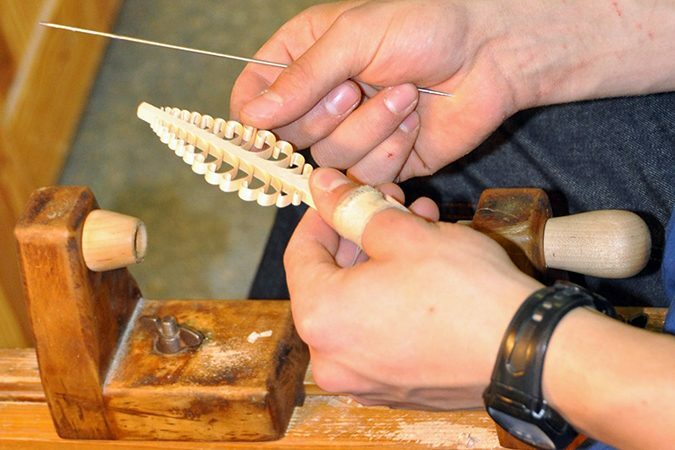 Christmas is celebrated in Seiffen every day: in the demonstration workshops, the many shops and the Ore Mountains Toy Museum which documents the history of woodcarving which goes back to the 18th century. 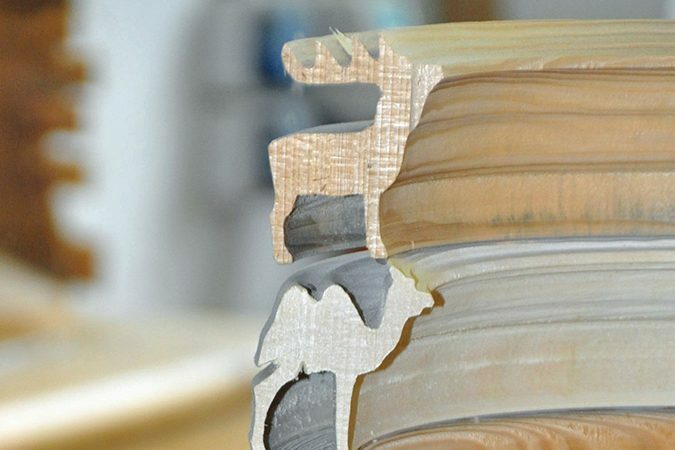 Christmas ornaments and toys are also made in many other places in the Ore Mountains but Seiffen stands out. To visit the region at Christmas time when all houses are illuminated and when ancient traditions can be shared, makes for an unforgettable experience. Because their family traveled all over the world as missionaries, the children of the "Moravian Brethen" had to attend boarding schools of the church. I was here that the Moravian Star evolved which still lights up Christmas around the world. Today it is produced in Herrnhut in 60 varieties. The visitor centre of the Original Moravian Stars manufactory has a demonstration workshop and a small exhibition on the star which was born in the early 19th century. No German Christmas would be complete without the traditional Christmas cake, the Stollen, a rich fruit cake made with lots of butter. The most famous Stollen comes from Dresden and it is only genuine if it has been made in the city. A Stollen festival is held at the Striezelmarkt in Dresden, the oldest German Christmas market. In the time before Christmas, bakers and restaurant offer Stollen baking classes where one can take home the one’s own creation. Stollen can be bought from September to December. Today, Stollen comes in many varieties, including Stollen cookies. 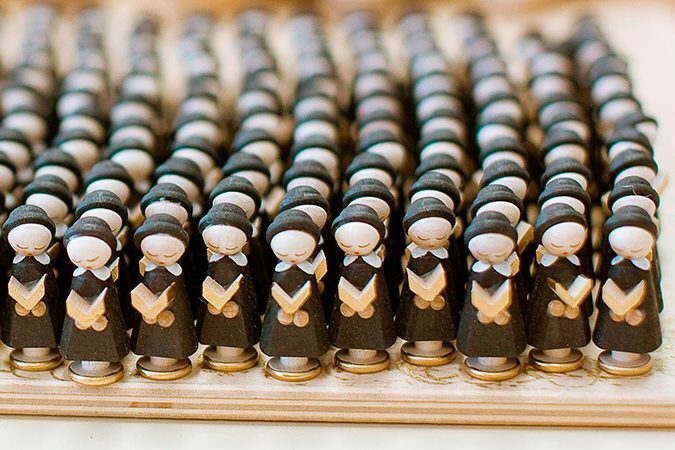 For centuries the people of Pulsnitz had been “gingerbread makers”. After German Reunification, they suddenly were all to become “bakers” against which they successfully protested. So the gingerbread makers still make their famous “Pulsnitzer Spitze”, a gingerbread finger filled with jam and covered with chocolate, and other varieties. The dough contains no fat and is stored for weeks before it is spiced and processed. There is a gingerbread demonstration workshop in the local museum where visitors can try their hand at preparing their own gingerbread. 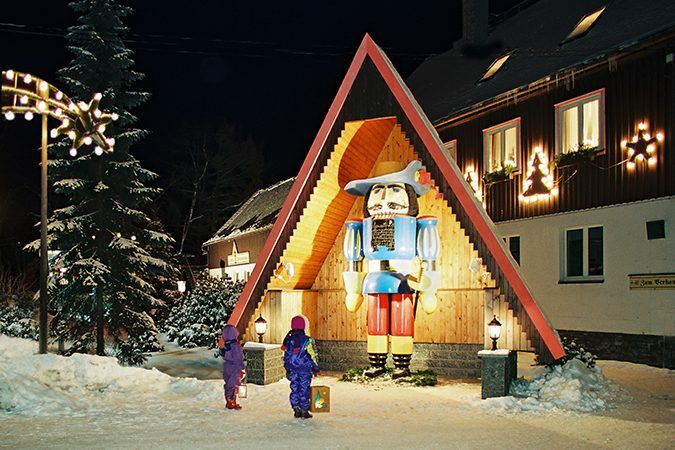 And every November, Pulsnitz hosts Germany’s only gingerbread market.